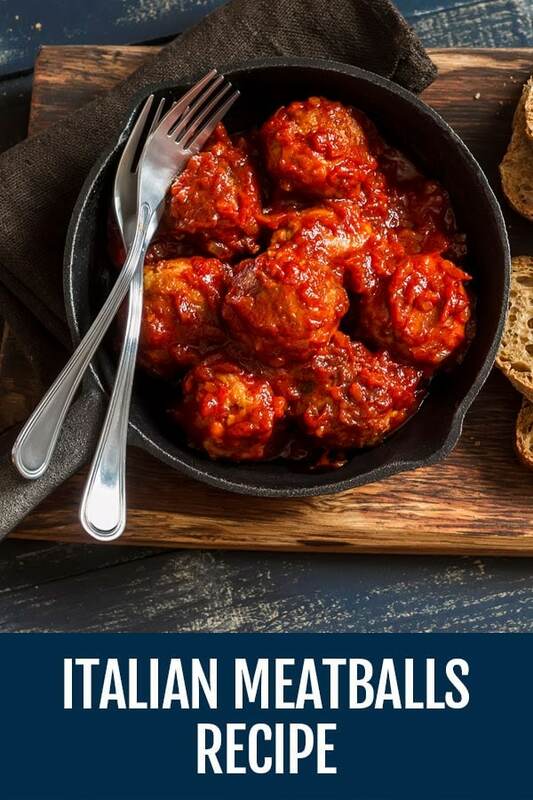 Italian Meatballs Recipe with Neapolitan Sauce - Delicious! HOW DID THE ITALIAN MEATBALLS AND SAUCE ENTER OUR MODERN CUISINE? 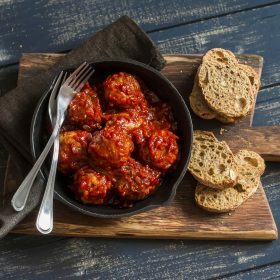 WHAT’S THE IDEAL WAY TO COOK THE MEATBALLS? Italian meatballs and sauce have an origin which is a bit tough to exactly pinpoint. It’s even hard to establish whether or not they were more of a “poor man’s dish” or a “noble” one. However, the general consensus now seems to be that it started out as a dish of the poor, but as we got access over time to more quality ingredients, it has now become a noble dish. Just like the Italian wedding soup, meatballs were made indeed recycling leftovers. Or at least, this happened in its humble beginnings. This actually makes you appreciate even more the food you put on your plate. We take basic ingredients like cheese or tomato or beef meat for granted, when back then, they were seen as a luxury for people like us. And most of the dishes we know in their perfected version, started out as leftover dishes, as it happened with meatballs. Nothing was thrown away and so, scraps of veal were mixed with eggs and bread, and cooked in various ways. But if we are to believe that meatballs were in fact a “noble” dish to begin with, it must be said that there are no traces of this recipe until the fifteenth century, where meatballs are mentioned for the first time in the “Book of the Cooking Art” (Libro de Arte Coquinaria), written by Martino da Como (commonly known as Maestro Martino), who shares the recipe for Italian meatballs and sauce, together with comments on how to best cook the meat of various animals. He goes into detail describing how to slice the meat and mix it with lard and other spices. It would take several more centuries for Pellegrino Artusi to write in his book “Science of the Kitchen and the Art of Eating Well” in 1881 to contest the nobility of the dish, saying they were made using recycled leftover meat. So again, just like it happened with pasta, the origins and purpose of the dish can’t be traced with exact accuracy. Regardless of how it started out, one thing is for sure: no leftovers are used today, as the ground beef is fresh, the vegetables are fresh, grated Parmesan can be used, and so on. For Neapolitans, Italian meatballs and sauce are a cult dish, proudly representing the Neapolitan cuisine. Soft inside, slightly crunchy outside, surrounded by a delicious tomato sauce, they do not fail to please every dining guest on the most pleasant day to sit at a table and eat surrounded by your beloved ones: Sunday. However, this is not to say that you can’t eat meatballs every day, but somehow, on Sunday it always feels special. And who cares you are not a child anymore? You can never be too old to enjoy your meatballs. As a matter of fact, you might like them so much, that you will probably sneakily remove some from the plates of the kids. It’s just too hard to resist them. 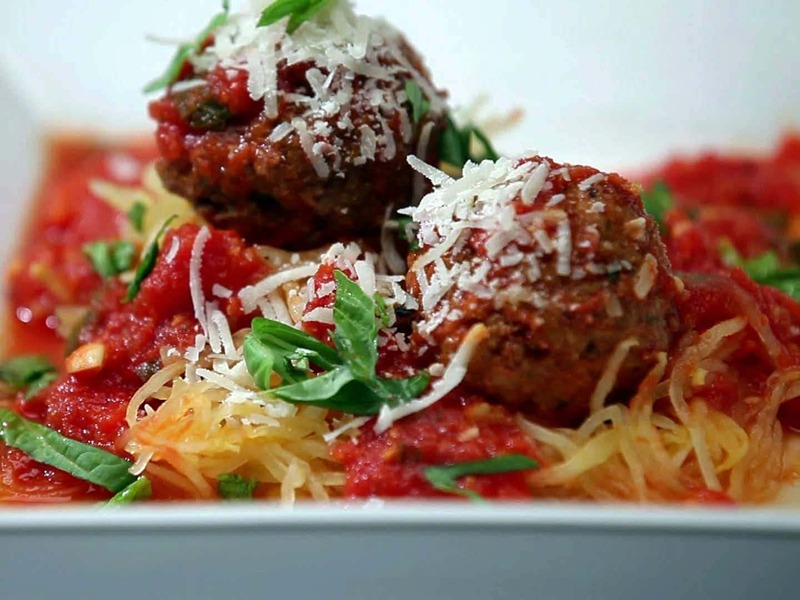 We’ll bring to you today the classic Neapolitan Italian meatballs and sauce recipe. 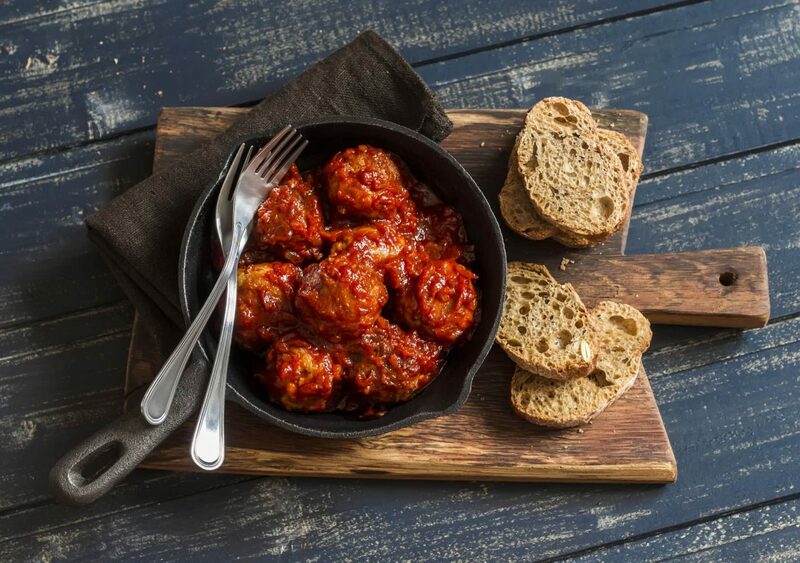 Polpette di carne is an Italian classic. Present both in North and South cuisine, represents one of the most well known Italian dishes around the world. Start by preparing the dough. Place in a large container the bread previously soaked in water and wrung out, the beef, the finely chopped parsley, the crushed garlic, the grated cheese, the egg, salt and pepper. Knead well to mix all ingredients. Now comes the fun part which every kid enjoys. Take some of the dough and roll it in raisins and pine nuts. Give it a round and slightly flattened shape and place it on a tray. Repeat the process until there is no dough left. Now dip the balls in hot frying oil, until they become golden and crispy. Once drained, prepare a sauce with olive oil, onion and tomatoes. Place the meatballs inside the pan in which the sauce is being cooked and bring it to very low heat, until the meatballs become soft and the sauce loses its concentration. 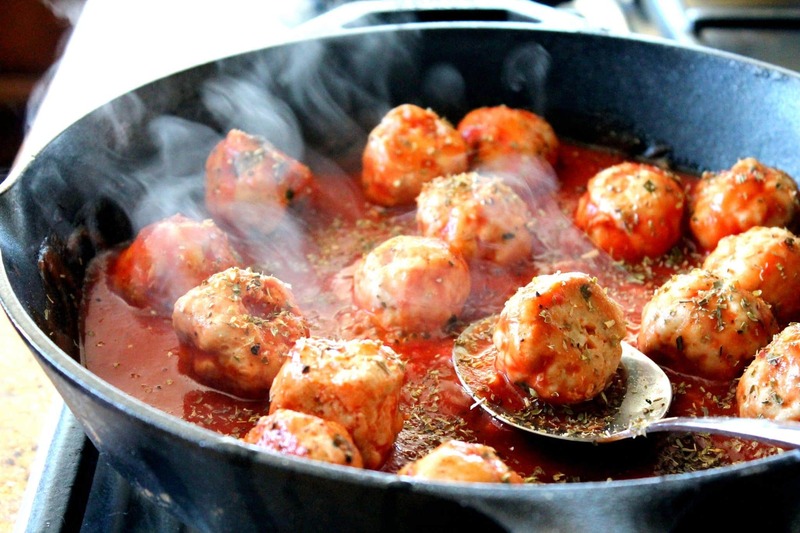 You can prepare a "light" version, by skipping the stage of frying, and cooking the meatballs directly into the tomato sauce. Thanks for this recipe, we can now go Italian anytime..